IT contracts are one of the most common kinds of legal documents in the world today. Whether they are provided over the internet or not, most goods and services today have at least some connection to the digital world. While many elements of IT contracts remain the same as in standard contracts, there are many more that require special attention and skill to make sure that they don’t harm your business in the long run. We are a team of practical IT lawyers who have helped many clients protect themselves over the years with clear, simple and strong IT contracts. 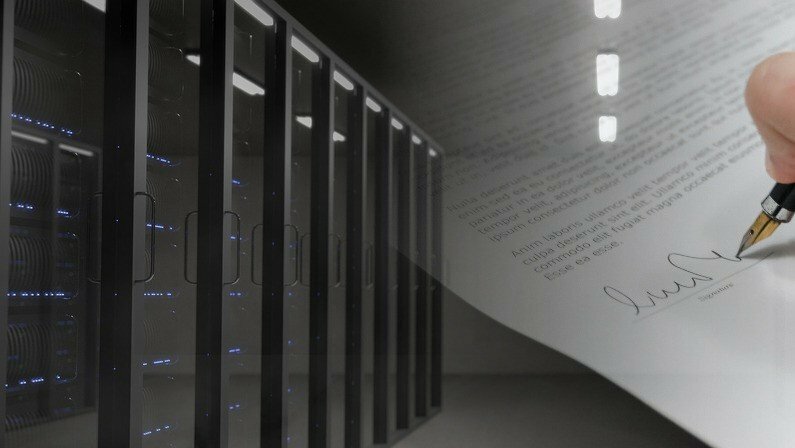 What is an IT Contract? We can help you to create simple and strong IT contracts. We draft in plain language, which will help to set out clearly what both parties expect from one another. Not only will this protect your business – it will also help to get your contracts signed faster. We have three options for you to choose from, which we set out below. The options complement one another and you may wish to switch between them at different times. writing your own IT contracts with the knowledge you’ve learned. This option is good for organisations that are confident in their legal drafting skills, and want to keep the costs as low as possible. You can always start with this option, and choose another option later if you feel that you need it. You can draft your own IT contracts with our guidance by joining one of our Contracts Programmes. Our programmes help you to empower yourself in the drafting, negotiation, signing and management of your various legal documents. You can set your own pace through the programmes, and we will give you practical guidance through webinars, written content, and templates that you can download and use in your organisation. This option is good for organisations that have some skills in legal drafting, and want to keep costs relatively low. If you want help drafting a specific contract (or type of contract), you can ask us to provide you with bespoke IT contracts. We help to ensure that your contracts are easy to understand and sign by drafting in plain language, and we customise them with your organisation’s branding. This option is more expensive than the other options because we work with you directly to create a custom solution. This option is good for organisations that would prefer not to draft their contracts themselves, or need focused help in specific circumstances. You can always request this option alongside the other two. If you’re interested, you can enquire at the bottom of this page and we can send you a fixed price quote regarding your matter. There are many legal jurisdictions in the world, each with their own histories and views on what is or is not allowed under their laws. Despite this, there many legal principles that are common across all jurisdictions, and standards that all legal documents should work towards. We draft global IT contracts that cover your fundamental legal requirements, wherever you need them to work. We have provided top quality IT contracts for over 20 years and have drafted for organisations all over the world. We take pride in our ability to offer practical, effective advice to our clients, including our top tips for IT contracts. We have helped small businesses to grow by providing them with free website terms to protect their interests and comply with relevant IT contract laws. We have done work for clients in various countries across the globe, including multinationals. They include service providers, customers, resellers, marketers, developers, publishers, financial institutions, financial advisors, insurers, the media, industry bodies, and many others. We have a more comprehensive list of the matters we have worked on that is available on request. Protect your organisation from harm by drafting contracts that are appropriate for the services provided, and which limit your liability fairly. Reduce the risks of a dispute between yourself and the other party by being clear about what is expected of each party, and describe how disputes are managed. Reduce your legal costs by managing your contracts yourself, with our guidance. Speed up and simplify the signing process by drafting your contracts in plain language and signing them via e-signatures. Still not sure which IT contracts you need help with? Answer our IT contracts questionnaire below and we’ll help you find the help you need. Acquiring or procuring ICT goods or services?